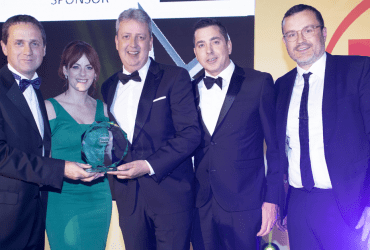 Digital Planet was one of the first enterprise cloud computing solution providers out of the blocks, but has now rebranded and plans to compete on the international stage. There are many advantages to being ahead of the pack, but there is often one major drawback: sometimes you have to wait for the rest of the world to catch up with you. 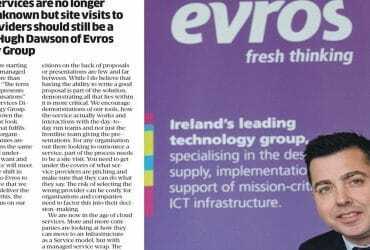 When Evros Technology Group launched Digital Planet, its enterprise cloud computing solution over two years ago, it did so at a time when many people had not even heard of the cloud. It is only now that the cloud has become very much a part of the everyday business conversation that decision makers in Irish industry are beginning to understand exactly what it is that Digital Planet can offer them. 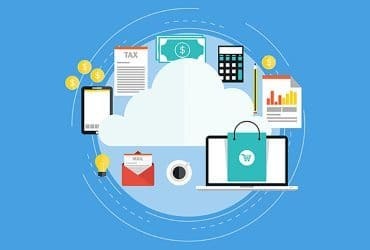 ‘‘When we launched Digital Planet over two years ago now, we did so with a good knowledge of the potential of cloud computing,’’ said Brian Larkin of Digital Planet.‘‘Prior to launching Digital Planet, we had been offering similar services, but at that time we had branded the solution ‘Cloud Computing on Demand’. The advent of cloud terminology prompted us to launch a dedicated company dedicated to the delivery of re-mote computing services, Cloud solutions.’’ In order to maintain its already strong market position, Digital Planet has just undergone a major rebranding process. ‘‘We are a technology company, and all our focus has been on the technology,’’ said Larkin.‘‘ But when it came to our branding, we went through the process very quickly, maybe too quickly. What we found that our competitors were doing a great job on their marketing without putting as much effort into their technologies. We are the opposite. We’re good technologists, but not as adept at branding. 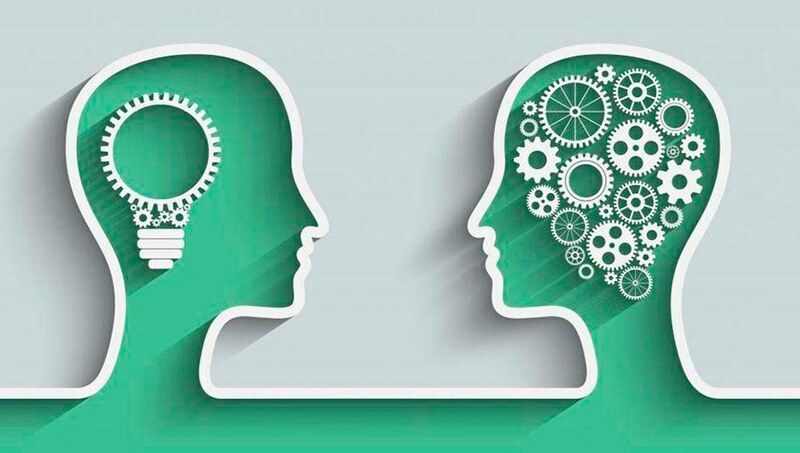 In an ideal world, this would not matter, but the reality is that brand awareness is hugely important in today’s economy and, in particular, the cloud. 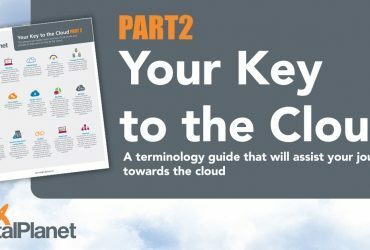 “There is so much written about the cloud,’’ said Larkin,‘‘ that it is easy to become confused when it comes to understanding the cloud and who you need to be speaking to.’’ Keeping it simple Digital Planet recently launched a new website offering heightened levels of usability for visitors from both a business and from a technical background. To this end, Digital Planet has broadened its service since it first launched, and in addition to managed, private and hybrid cloud solutions, it now offers full disaster recovery, online backup and a host of SaaS solutions that are increasing all the time.‘‘This means that we can cover pretty much every aspect of a company’s technology requirements,’’ explained Larkin. In addition, Digital Planet was the first to launch VMware’s platform on its vCloud Director management suite. VCloud Director is an advanced self-service portal for cloud, allowing customer deployment and management of cloud environments through an intuitive web-based console. Delivering services from our cloud environment is a key growth area for us,’’ Larkin explained. Microsoft is a key partner of ours, and we will be launching applications such as Sharepoint and Lync from Digital Planet before the year end. The future for Digital Planet Ambitions run high in Digital Plane. 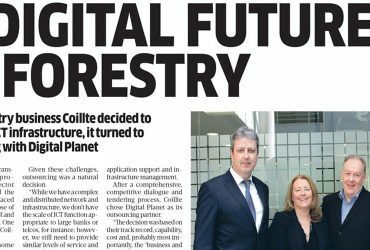 Digital Planet will support the launch of Irish Software start-ups to a new level on the global market. ‘‘We plan to compete on the international stage,’’ said Larkin.‘‘The cloud promotes global delivery of software and services. It’s important we don’t stand back and allow the competition to come to us. We, and all Irish technology companies, need to go after this global market aggressively. There are many advantages to being ahead of the pack, but there is often one major drawback: sometimes you have to wait for the rest of the world to catch up with you. 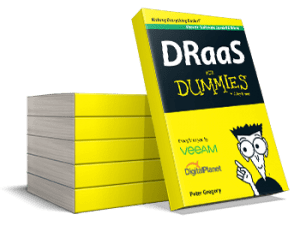 .‘‘Prior to launching Digital Planet, we had been offering similar services, but at that time we had branded the solution ‘Computing on Demand’. The advent of cloud terminology prompted us to launch a dedicated company dedicated to the delivery of re-mote computing services, Cloud solutions.’’ In order to maintain its already strong market position. If you’re interested in Brian Larkin’s talk on Demystifying the cloud visit our blog. Managed services are no longer the great unknown but site visits to service providers should still be a must, says Hugh Dawson of Evros Technology Group. Companies are starting to embrace managed services more than ever before. “The term no longer represents an unknown for organisations” .